Both are largely inevitable. Oh sure, there are magic babies who never get it, along with ones who nurse like a champ, sleep through the night at 6 weeks, and pop out after 10 minutes of labor because you sneezed. (That said if you have an in with a higher power, I recommend asking for the other stuff first since diaper rash is relatively easy to deal with). In any case, because this is the kind of thing that can happen rather suddenly, it's good to have diaper rash cream on hand when the baby comes home or soon after, just in case. Diaper rash happens because the acid in pee and poop can eat away at a baby's skin. Obviously the best thing you can do is try to prevent it by changing the diaper once the baby poops (modern diapers are pretty absorptive so they move pee away from the skin really well) . However if your child has sensitive skin like both of mine do, it's just something that's going to happen from time to time. Once the rash develops you need to apply a barrier cream to help the skin heal. The active ingredient in pretty much all diaper rash cream is an inert mineral called zinc oxide. The more zinc oxide in a product, the stronger the barrier and the faster the skin will heal. Most creams top out at about 15% zinc oxide. To get something more concentrated than that, you pretty much have to go to a paste. Personally I find paste annoying to carry around and apply (it gets under my nails, which are short). So I was really excited to find a brand that makes a high concentration cream version (25%). It's called Booty Goo . (Why yes, it IS a terrible name! Have you noticed how baby product manufacturers assume you have no dignity?). Remember to put it on thickly (think spreading it like icing). And here is one more tip for the road that was given to us by our pediatrician and has worked wonders. If the diaper rash has gotten bad enough that the skin has broken (the baby screaming bloody murder when you apply rash cream is usually a sign that it has), apply neosporin to the area first and then slather the cream on top. And finally, if you're in the throws of a bad outbreak and are having trouble wiping the cream off at diaper change, give the baby a bath with a bunch of baking soda in the water. Good luck, and whatever you do - DO NOT GOOGLE IMAGES OF DIAPER RASH. It looks much less scary in real life. 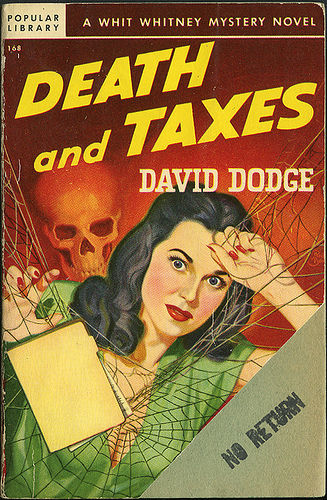 Photo credits - DEATH and TAXES under a Creative Commons license.